Drumming is a fantastic instrument with so many different styles and techniques. However it’s easy to get stuck in the same old basic rhythms. 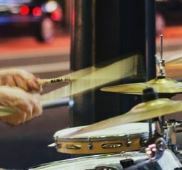 Logically, most drummers turn to online tutorials and YouTube channels to learn more about different drumming techniques. The greatest advantage of this learning strategy is that you can easily acquire many different techniques from different points of view. In addition to these instantaneous and responsive drumming lessons, it’s wise to delve into drumming books. They offer a more in-depth approach to drumming. Hence, you might need more patience for this format. Playing directly from drum sheet music in books also helps you to greatly focus on your instrument. Also, it is a lot easier to learn the basics that you might think! 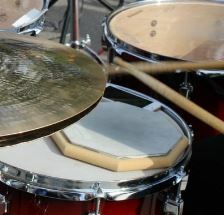 Learn how to play your drums in an ergonomically. Drumming is a serious physical activity and yet, most tutorials and handbooks miss to cover the anatomical aspects of drumming. That’s not the case with the book Anatomy of Drumming: Move Better, Feel Better, Play Better written by John L. Lamb. The author explains how to keep your body safe during your drumming sessions. From the Moeller technique and pedal technique to the grip and posture, you can find out more about the key moves and drumming practices. This book will teach you how to drum faster while wasting less energy and reducing the risk of injury. A valuable guide for greater drumming independence and coordination. One of the most important aspects of efficient and accurate drumming is the coordination of your hands and feet. In his book 4-Way Coordination: A Method Book for the Development of Complete Independence of the Drum Set, author Marvin Dahlgren gives a wide range of rhythmic practices, from ordinary drumming patterns to more complex rhythms. This book will help you improve the drumming independence of your extremities and perfect your hand dexterity. A true drumming classic for every type of drummer. If there’s one book that deserves to be called the classic of drumming literature, then it has to be Stick Control: For the Snare Drummer. One of the most popular and cited drumming books of all time, this resourceful guidebook was written by George Lawrence Stone will guide you through many different aspects of drumming. It will help you improve your feel, touch, rhythm, precision, and the posture during your drumming practice. What’s more, this book brings a countless number of rhythms, beats, and combination of rolls and other drumming patterns. It’s great to get a practice pad to really isolate and focus on these exercises. Get inspired by drummers that made the music we love. Drumming isn’t only about practice and rhythm. More often than not, you need to get inspired by people who were part of the rock history, especially when you’re at the beginning of your drumming career. The book The Roots of Rock Drumming: Interviews with the Drummers Who Shaped Rock ‘n’ Roll will most certainly help you find motivation for your further practice. Through the series of interview with the drummers that played some pivotal roles in the history of rock, editors Daniel Glass and Steve Smith give you a nice insight into the lives of professional drummers. The book contains a lot of original photos and comes with a DVD so that you can watch some interviews, as well. A comprehensive guide for the beginners in the world of drumming. No matter if you’re just starting out as a drummer or you simply want to fill some holes in your drumming practice, Jeff Strong’s Drums for Dummies is a resourceful guidebook. It will help you understand and play some key rhythms, as well as get to know the basic drumming techniques. With this book, you’ll also learn how to put together a proper drum kit for your needs, as well as how to properly maintain that set of drums. Apart from that, it will help you find out more about some other percussion instruments. The package contains a CD, where you can listen to the rhythms and beats discussed in the book, together with some amazing solos. A comprehensive study of bop and jazz drumming. As pivotal as bebop drumming was back in the 1940s, the book The Art of Bop Drumming, together with the included CD, is a holistic study of jazz drumming as a whole, and an in-depth analysis of bop drumming. This drumming gem written by John Riley will help you get through all those irregular patterns, unusual beats, fast solos, and other elements of bop music. An amusing combo of music, text, and speech, it’s one of the best-selling drumming books in general. An informative and educational book on technique for drummers. Bill Bachman used to edit the Strictly Technique section in the Modern Drummer magazine. Now he presents the articles he wrote for that section in his book Modern Drummer Presents Stick Technique: The Essential Guide for the Modern Drummer. Every drummer will benefit from this book. It will help you improve your grip, strengthen your weaker hand, and alleviate the shoulder tension that might come from bad posture. 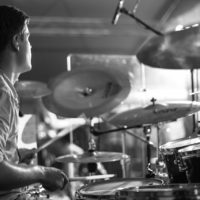 Improving your technique makes you far more efficient at drumming, which helps you to become more advanced while also preventing injury. A fast-track guidebook to the world of breakbeat drumming. One of the most comprehensive studies of breakbeat drumming styles, The Breakbeat Bible: The Fundamental of Breakbeat Drumming, written by Mike Adamo, consists of thirteen informative chapters. Each chapter represents one key feature of breakbeat drumming. This division into chapters adds to the educational and didactic nature of the book. 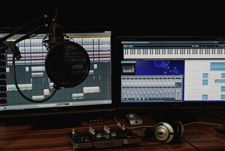 Readers can use more than 90 transcriptions of breaks and beats that serve as an in-depth insight into this drumming subgenre. Also, you can practice different beat elements by listening to the audio examples of the beats and breaks from the book. The book also provides a historical overview of the development of this drumming technique. An educational must-have for every drummer. One of the essential drumming books, Basic Drumming, written by Joel Rothman, covers all the basic drumming styles and techniques, just like it’s presented in the title. 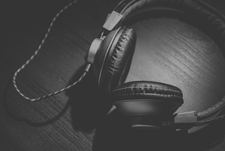 From rock and jazz to disco and Latin rhythms, you can learn all about breaks, beats, and solos in a variety of musical genres. Apart from that, this book will lead you into the world of syncopation, accentuation and drumming dynamics. Finally, you’ll also learn how to read drum sheets and notes. The ultimate syncopation guidebook for drummers. Ted Reed’s Progressive Steps to Syncopation for the Modern Drummer is one of the most acclaimed drumming books ever published. 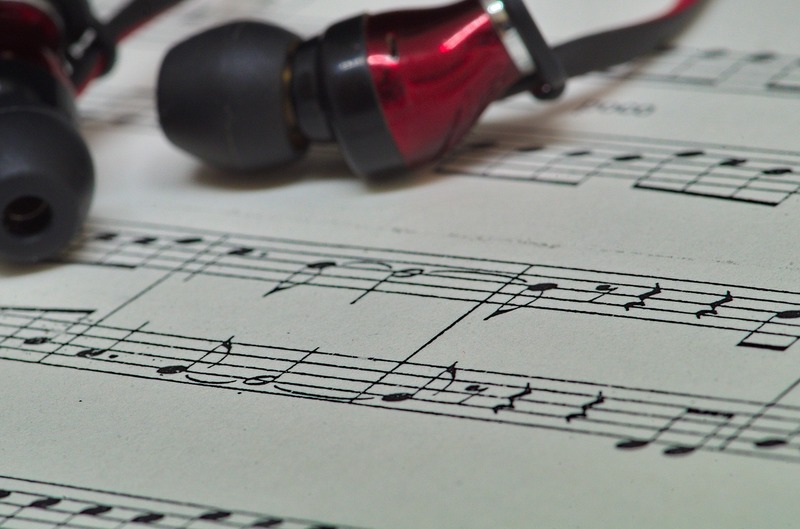 A great introduction to the complex world of syncopation, it will guide you from the basics of syncopation, all the way to multi-layered patterns. From dotted eighths and sixteenths, to accented eighths and triplets, to dotted sixteenths, this guidebook provides a comprehensive insight into advanced and complex drumming patterns. Do you need a quiet solution for you to practice drumming? Check out our popular article on the best electronic drum sets. There are some very decent options available for very affordable prices. 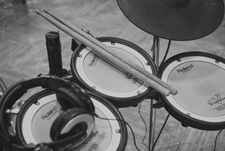 If you want to spice up your drumming practice with some theoretical background, the books presented in this overview represent a great start. Reading about music can both improve your playing technique and your level of musical education. Therefore, take the plunge and read at least some of these books. But don’t stop there and keep searching for other works that might inspire your drumming practice and extend your knowledge of music in general. Do you have any other drumming books that you think are worth sharing? Write a comment below and we will considering adding them to the article.